Mike Sexton, Senior Vice President of Marketing and Sales, represented PC Matic Pro at the first SMB TechFest of 2017. The SMB TechFest is a technology conference that occurs each quarter. The event took place on January 19, 2017 in Anaheim, California. In attendance were over 200 resellers, managed service providers (MSPs), and partners who were focusing on the security needs for today’s SMBs. There were a total of 35 vendors, including PC Matic Pro, at this event. 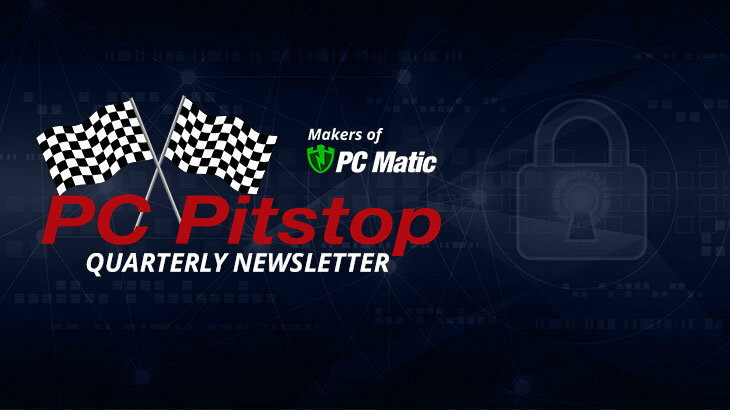 Sexton was given the opportunity to share the story of PC Matic Pro, including how its automated global whitelist solution has been proven effective as a leader in proactive malware detection. The message of PC Matic Pro was well received. At the end of the day, the 200+ resellers, MSPs, and partners had the opportunity to vote for products based on seven different categories. Those categories include Best in Show, Best New Solution, Best Solution, Best Product, Best Revenue Mode, Best Partner Program, and Best Community. Achieving the highest ranking, PC Matic Pro is proud to announce that we have won Best Solution for the quarter. We are honored to bring this award home, and hope we can continue to share how effective our solution can be against today’s modern cyber threats. 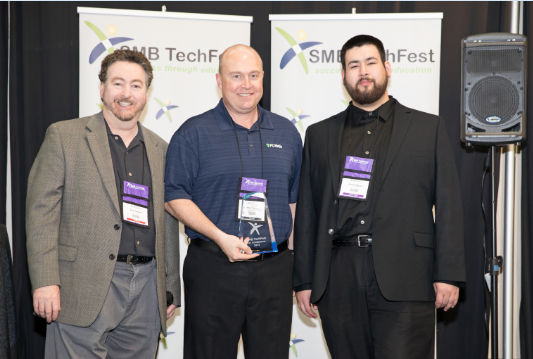 Mike Sexton, Senior VP of Marketing and Sales accepting the SMB TechFest Best Solution Award. To read the full first quarter newsletter of 2017, click here. PC Matic Pro - Channel, Q1 2017 Newsletter pc matic pro, SMB TechFest. permalink.